Tahoe OG is a strong and high impact strain that is classified as either an indica or hybrid (depending on who you ask). This strain most likely stems from the infamous and popular OG Kush. Known for it’s known for its smooth taste, slight lemony smell and strong high, the Tahoe OG strain is a popular option for those who need a little help to catch a good nap or chill out for a spell. If you suffer from insomnia, or if you’re just looking to wind down after a long day, this relaxing and euphoric strain comes packed full of pleasant flavor and effects in alignment with just what you’ve been looking for. This strain is also known to provide pain relief and help ease feelings of anxiety and stress. Read on to learn more about why Tahoe OG is worth a try. Tahoe OG is, quite literally, an OG. Despite its long history and track record of being an old strain, it still won third place at the 2011 High Times Cannabis Cup. In the 1980s, Ganja Guru made Tahoe OG while in (where else?) Lake Tahoe, California. It’s considered a phenotype, or variety, of the OG Kush strain that also came from California and is ubiquitous with the industry. However, sometimes there is some confusion about Tahoe OG’s backstory. That’s because it’s often confused with Tahoe OG Kush. However, that strain was created by Swerve by crossing an original Tahoe OG clone with SFV OG Kush. Even if you don’t plan on setting up a grow house of your own, having some background information on where and how this strain grows and thrives can provide you with insight into how it tastes and the effects you can expect to garner from consumption. Lineage: comes from the OG Kush strains. 30% Indica and 70% Sativa. Preferred Climate: Tahoe OG grows best in temperatures between 65 to 80 degrees Fahrenheit. This strain has some resistance to extreme temperatures, but prefers low humidity levels when it starts to flower. Outdoor vs Indoor Growing: This strain can be grown by both indoor and outdoor growers. Indoor growers will be able to control important elements like humidity and light exposure, while outdoor growers will have to choose enriched soil and possibly trim the plant at times to ensure the flower gets adequate sunlight. This strain is resistant to diseases, molds and pests. Feeding Overview: Tahoe OG requires heavy feeding. It’s recommended that the strain get magnesium, calcium and nitrogen. Tahoe OG is known to have a strong earthy, piney smell that also has notes of skunky or musty aromas to it. This thick and heavy scent is undercut by a nice hit of lemony citrus that gives it a nice fresh clean edge. This strain packs a punch in its effects, and is widely known for its overwhelmingly smooth flavor sprinkled with hints of pine and spices, topped with that hint of lemony zest. Overall, if you’re choosing this strain for its ability to mellow you out or to relieve some pain, the smooth flavor is a nice added touch. While the front of the flavor is smooth and earthy, you may still get a couple coughs in after inhaling (fair warning). One of the most common side effects of this potent strain is dry mouth or cottonmouth, which no pine scent or lemony aroma can fix — just a big glass of water along with your toke. Tahoe OG may be labelled as an indica, sativa, or hybrid, depending on which dispensary you go to. That said, most people report feeling similar effects from the relaxing blend. Keep in mind that no one drug or medicine is ever experienced or processed in exactly the same way by two different bodies. However, as long as you are getting a legitimate Tahoe OG strain, the results you experience should be similar and quite consistent each time you enjoy it. Tahoe OG is known to be a fast-acting strain that hits you within two to three minutes of taking a hit (when smoking or vaping). It heavily relaxes the frontal lobe of the brain, as well as the area behind the eyes, creating a numbing effect that will circle around your whole body, completely relaxing your body head to toe in its warm embrace. 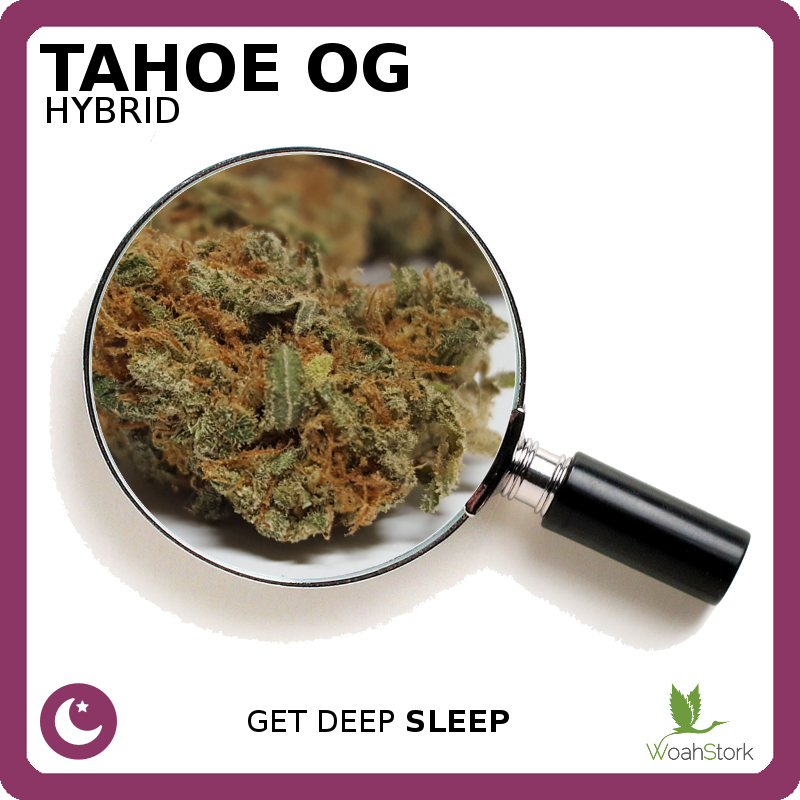 Tahoe OG has been featured on many “best nighttime strains” lists and some say it’s a godsend for insomnia. 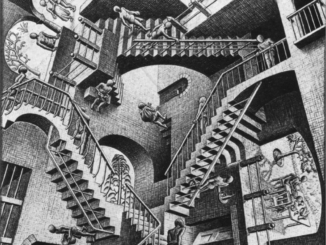 Other users report feelings of euphoria and sporadic bursts of energy that gets their creative minds whirring. If you find yourself stuck working on a project at night, it doesn’t hurt to try this strain and see where the ganja takes you. Because of how Tahoe OG tends to relax the whole body, this strain is also sometimes used to treat chronic pain or muscle spasms. If you’re sore or dealing with an injury, talk with your doctor about possibly using this strain as a medicinal marijuana treatment. Tahoe OG can last up to three hours, so it’s best not to use it when you know you’ll need to drive somewhere or do a lot of work. Instead, many people choose to use the strain at the end of the day when they get home from work, or before they go to bed. Like any other strain or medicine, some people report mild side effects when using the power Tahoe OG. One of the most common side effects is dry mouth. Users also report experiencing dry eyes, dizziness and headaches. Another common effect is feeling sedated which, depending on why you’re using the strain, could be seen as a negative side effect. It’s important to read the labels when you’re purchasing cannabis so that you know how much THC, or tetrahydrocannabinol, is in what you’re purchasing. THC is known as the psychoactive component of cannabis that gives you the feeling of being “high” — which could be good or bad, depending on what you’re looking for. Tahoe OG is a bit of a hybrid, but is mostly relaxing, so it doesn’t skew toward having a high ratio of THC in most batches. One test of the strain’s composition found that, on average, it was 14.6 percent THC. It seems to range between 15 and 30 percent. Many call this a beautiful strain, not only for its effects and smell but also for its appearance. You can pick out a Tahoe OG nug by its appearance and smell. The strain is made up of large, neon green calyxes which are part of the flower of the cannabis plant. It also has a very thick layer of trichomes. Tiny light orange to brick red hairs cover the calyxes, which give the strain its dense quality due to their swollen and large qualities. The plant is so impressive that it won third place in the 2011 High Times Cannabis Cup. WoahStork’s online cannabis marketplace will let you order Tahoe OG online. You can find Tahoe as a flower, concentrate, in vape pens, or in edbibles. While you might not want to try Tahoe OG for your very first time experiencing cannabis, it’s the perfect strain for someone who is looking to venture out and try something new. If you struggle with anxiety, chronic pain or insomnia, this is definitely a strain worth trying. Not only is this the perfect blend for a chill night in with your creative muse, it’s also the perfect strain to help you relax both mentally and physically.